In 1812, a case went to trial in England involving a wager on Napoleon Bonaparte’s life. Ten years earlier, Sir Mark Masterman Sykes had rashly committed to pay Reverend Robert Gilbert one guinea per day as long as Napoleon lived. Famous at the time, the case raised the question: was it legal to bet on the assassination of a national enemy? Sir Mark Masterman Sykes was born on August 20, 1771. Descended from a line of wealthy Yorkshire traders turned landowners, he was educated at Oxford. In 1795-96, he served as High Sheriff of Yorkshire. 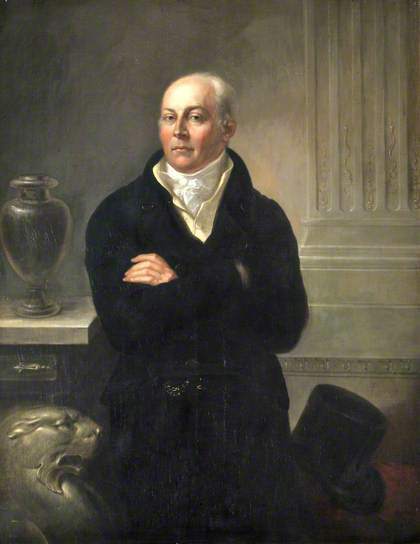 In September 1801, upon the death of his father, Sykes inherited the title of baronet and the estate of Sledmere House, 25 miles northeast of York. Some of the company expressed the opinion that attempts would be made to assassinate Napoleon. Sykes said he considered Napoleon’s life to be in such great danger that if anyone would give him 100 guineas (equivalent to 105 pounds sterling), he would pay them one guinea per day for the rest of Napoleon’s life. On Monday, May 31, Robert Gilbert paid Mark Masterman Sykes 100 guineas. Thereafter, Sykes paid Gilbert a guinea a day, usually in weekly amounts of 7 guineas. He continued the payments until December 25, 1804. In 1805, Sykes asked a friend to call upon Gilbert and relay the message that he would give £500 to have the bet cancelled. By then Gilbert had received a total of £970 from Sykes. Gilbert said he would refer the question to the Jockey Club. Sykes heard nothing more from Gilbert and assumed the matter was settled. In 1807, Sykes (a Tory) became the Member of Parliament for the city of York. In January 1812, Gilbert sued him for breach of promise. He sought damages of £2,296 and seven shillings – the amount he calculated he would have received if Sykes had continued to pay him a guinea per day. The case was tried in March 1812 at the York Lent assize court. Two witnesses from the original dinner party testified. In addition, a Mr. Anderson – a messenger for the American chargé d’affaires in London – was called to certify that Napoleon was still alive. He said he had seen Napoleon in December or January, reviewing troops at the Tuileries. 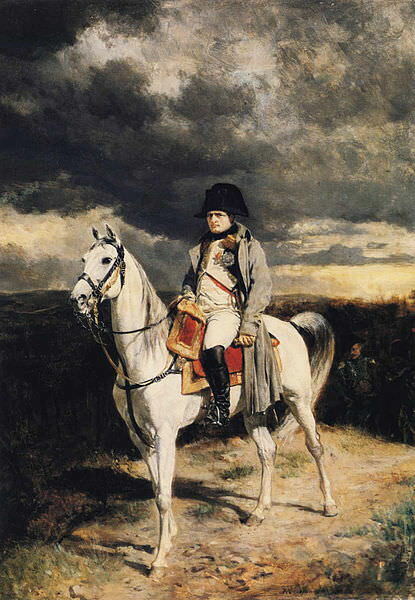 Sykes’ counsel asked how Anderson could be positive it was Napoleon, since the messenger seemed to have been unable to distinguish anything but a white horse. Witness replied that it was him, but that it was not easy to approach while he was reviewing 30,000 troops; he believes that he also passed him when travelling rapidly in his carriage from an hunting excursion, and was present when Napoleon Bonaparte made his grand entrance into Amsterdam in October last, being not more than the distance of the table from him. Witness knows his person, and can distinguish him from his brothers, having seen them all, except Lucien Bonaparte. After a brief consultation, the jury ruled in Sykes’ favour, on the grounds that the wager had not been seriously made and should be considered null and void. That such a thing as this could happen! Reverend Robert Gilbert died on December 30, 1820 at the age of 69. He was survived by daughter Elizabeth and sons Robert and John. His wife Ann had died in 1801. In 1820 Mark Masterman Sykes retired from his parliamentary seat due to ill health. He died at Weymouth on February 16, 1823 at the age of 52. He was survived by his second wife Mary Elizabeth Tatton Egerton. He had no children. Sykes was a knowledgeable book collector, with an extensive library that included many rare volumes. He also collected pictures, bronzes, coins, medals and prints. His collections were sold at auction in 1824. The book sale, at which “most of the opulent London Bibliopolists…enriched their collections,” continued for 11 days and fetched nearly £10,000. (9) The sale of Sykes’ pictures brought in nearly £6,000. 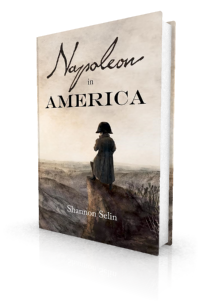 Napoleon died on the island of St. Helena on May 5, 1821 at the age of 51. “Bonaparte,” Hampshire Telegraph & Portsmouth Gazette (Portsmouth, England), May 24, 1802. Report of a Cause, the Reverend Robert Gilbert versus Sir M.M. Sykes, Bart. M.P. tried at the York Lent Assizes, 1812 (York, 1812), pp. 7-12, 19-20. “Law Report,” The Times (London), June 13, 1812. Edward Hyde East, Reports of Cases Argued and Determined in the Court of King’s Bench, Vol. 16 (London, 1814), pp. 157, 160. The Critical Review, or, Annals of Literature, Series 4, Vol. II (London, 1812), p. 663. The Edinburgh Annual Register for 1824, Vol. 17 (Edinburgh, 1825), pp. 312-313. Thanks, Jacqueline. Glad you liked it! That is the strangest story I have ever heard about Napoleon, both the original bet and then the court cases. Thank goodness for reliable court records and newpapers. Otherwise historians would still be debating whether the entire story was simply drunken pub talk. You’re so right, Hels. When I first came across reference to the bet (via the “Cervantes” poem), I thought maybe it was an exaggeration, or hearsay. I was very pleased to find the case well-documented. Just when you think you can’t learn anything else with a Napoleon connection…such an interesting post! At a time when the enemy’s threats of invasion were actual, and when they were deprecated weekly in every church, could it be said that in case of Buonaparte landing, the interest of 365 guineas per annum to preserve his life was too remote?